The National Literacy Hub in Stoke-on-Trent is known as Stoke Reads. 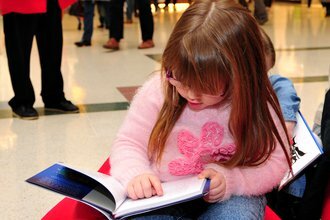 It brings together partners across the city to promote reading and boost literacy levels. 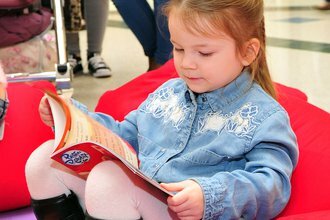 Stoke Reads inspires the city to enjoy reading and helps parents to support their children’s literacy skills. Schools are delivering innovative literacy projects and businesses have the opportunity to play an important role in raising literacy levels. We've brought BookBench sculptures to Stoke-on-Trent to celebrate the city’s love of reading! 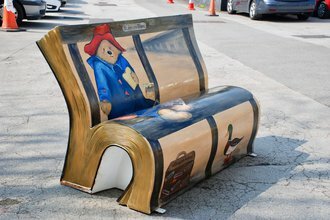 20 BookBenches have been decorated by schools and community groups across the city with designs inspired by books and reading. They are located at cultural and leisure venues across the city until 30 June - can you spot them all? 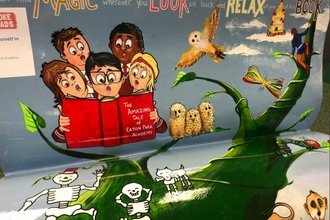 See all the amazing BookBenches, decorated by local schools. Download the BookBench trail map and fun activities linked to the benches! You can support your child's reading at all ages. 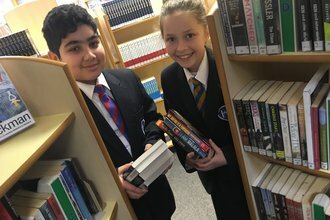 Find out how your school or setting can get involved in Stoke Reads. Can you read all 100? Read the first 25 books on the Stoke 100 Reads list and receive a free book to keep! Families across Stoke-on-Trent have submitted their recipes for the Stoke Family Cookbook. We are working with StreetGames on the Storyquest programme, which will encourage families to get outside together and take part in adventure story trails around their local neighbourhood. As new research highlights links between literacy and wellbeing, Stoke schools can download wellbeing-themed resources including assembly plans, a book list and tips for parents. Visit your local library to connect to world of opportunities and access millions of books for free.